Shared Dreams only collects the information through this website that you provide us with, and only for the purposes of making business connections initiated by you. This information may be collected through email correspondence, telephone conversations, or filling out forms on our website. Again, this information is only collected voluntarily when you provide us with information about yourself, your business, or organization for the purposes of doing business with us. The accuracy and content collected is solely contingent upon what you voluntarily provide to us. The information collected by Shared Dreams will be used solely for the purposes of carrying on ordinary business conduct, as requested and authorized by you, as indicated above. We will not send or deliver any unsolicited communications or communications outside of the reasonably prudent conduct of a business relationship. The information we collect will be used to create customer profiles for our records only, to be used during the course of our business dealings. We do not disclose, reveal, share or otherwise disseminate any personally identifiable details about yourself, your business or organization to any third parties. We will only do so if required to do so by law or within the course of legal undertakings. 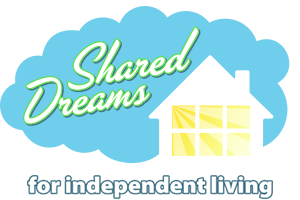 Shared Dreams is committed to the security of your personal information that we may collect online or offline. We have taken reasonable precautions to protect this personal information from loss, misuse or alteration. Any third parties who may have roles in managing such information on behalf of our company are also committed to the same principles. Like most web servers on the Internet, our hosting servers maintain access logs that record web browser activity. These logs associate an Internet Protocol (IP) address with each request for content from the servers. Often this IP address is the address assigned to a visitor’s personal computer. (This IP address may be temporarily or permanently assigned to an individual computer by an Internet Service Provider or by a business’s own network administrators). Alternatively this IP address may represent the network gateway of an Internet Service Provider or business network, rather than an individual computer. Server logs, including these IP addresses, are used by Shared Dreams to analyze web traffic. Data from these logs help us to understand what information and services are of most interest to visitors in order for us to market ourselves as beneficially as possible. In the case of abuse of our website, we may report the IP address of a suspected abuser to the appropriate law enforcement authorities. Our web hosting servers are able to use “cookie” technology to keep track of the browsers with which they are communicating. During a cookie transaction, a web server will hand a browser some data prescribed by the website’s developers. The browser will return that data with its next request for content from the website. Using this technology, it is possible for an application running on a web server to distinguish one web browser’s activity from another. The Shared Dreams website will make use of such cookies when required to identify ongoing sessions with individual online visitors. This includes associating a particular visitor with his or her own “shopping basket”; allowing online purchases or payments; preventing abuse of online surveys and questionnaires; and providing customized content and user-interface features to visitors who have specifically requested such services.